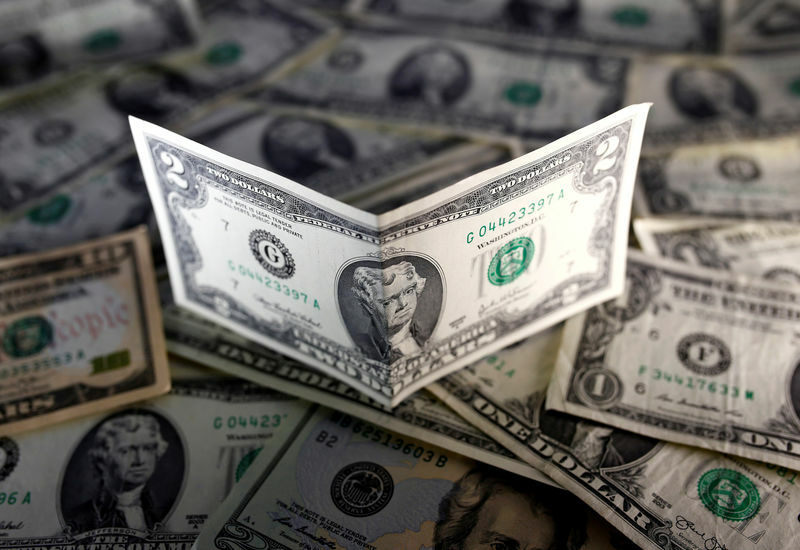 TOKYO (Reuters) – The dollar dipped on Friday after weaker-than-expected U.S. inflation data, with the currency already sagging on signs of reduced trade tensions between the United States and China. The dollar’s index against a basket of six major currencies was a shade lower at 94.491 () after slipping 0.3 percent on Thursday, when it touched 94.428, its lowest since Aug. 31. The euro inched up 0.05 percent to $1.1695 () after gaining more than 0.5 percent overnight when it brushed a two-week high of $1.1701. The lira surged after Turkey’s central bank raised its benchmark one-week repo rate by 625 basis points to 24 percent on Thursday, in a bid to stabilize the currency, which had slumped to a record low against the dollar a month ago. MSCI’s emerging markets currency index () bounced further away from a 16-month low reached earlier in the week. The Australian dollar, seen as a proxy for China-related trades as well as a barometer of risk sentiment, was nearly flat at $0.7194 . The was headed for a gain of more than 1 percent on the week, having pulled back from a 2-1/2-year low of $0.7085 plumbed on Tuesday.